Music and art are two universal languages. Even a casual observer can, at some level, relate to each as a backdrop of common life experiences. 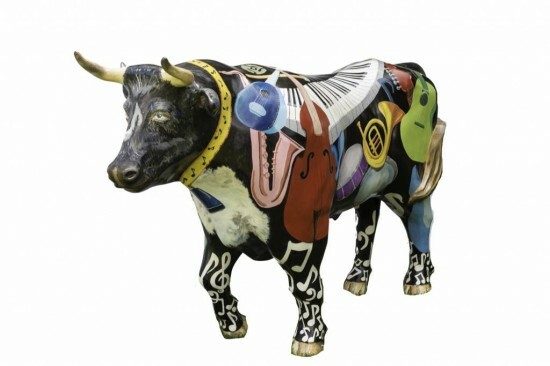 Our ox is decorated with the literal use of images of musical instruments painted in bold colors. Our intent was to marry the use of bright pigments to images, expressing the vibrant colors in music, and to be fun. We used enamel paints to decorate the ox.